Buddha and Mohammed aren't gods. The godmen must have had feet, hot enough to melt rock!!! Right, they're extra........enjoy. 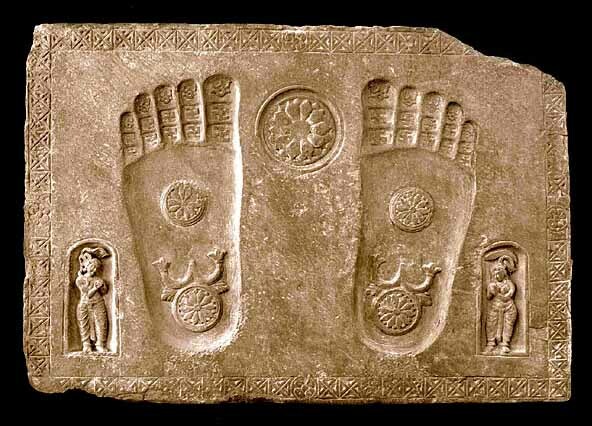 Which begs the question...How could a mortal man melt stone with his feet? Gosh, at least get your facts straight before you post pictures. As moderator, I have to make sure that I can help people from making the same mistakes all over again. Even though it's not that hard to tell the difference between gods/godmen and prophets. 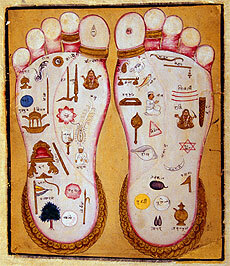 Vishnu's kinda clumsy with all those things in his/her (I don't know) feet.